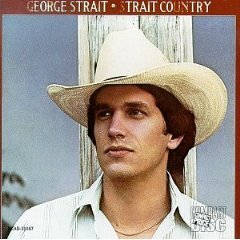 George Strait has had access to top drawer material for almost three decades now. But like any new artist, he needed a dose of luck to get a great song right off the bat. “Unwound” was originally written with Johnny Paycheck in mind, but since he was in jail, Strait got the chance to record it instead. Thus began a long and fruitful partnership with songwriter Dean Dillon, who has a knack for writing slightly offbeat songs that Strait brings into the mainstream. This would be a great record just for the fiddle alone, but a very youthful Strait is still able to deliver the goods, and the band is so country that you can almost smell the sawdust when they let loose. A remarkable start to a legendary career. it doesn’t get any more country than that.